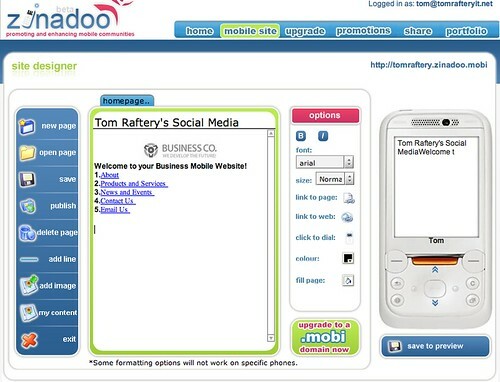 Zinadoo.com is an online website creation tool specialising in creating websites for mobile devices! When you register with Zinadoo, you are setup with a free zinadoo.mobi subdomain. .mobi is the top level domain created specially for mobile devices. 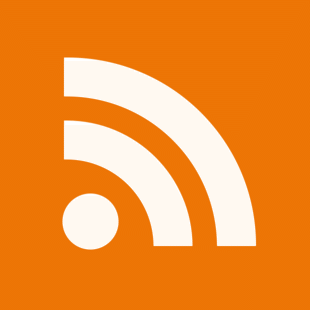 The timing of this is very coincidental as I did an interview with Neil Edwards, CEO of dotMobi, on Friday which I will be publishing as a podcast on PodLeaders.com later this week. The online website creator makes constructing mobile aware websites really easy. You can do all the usual stuff like adding links, creating pages, click to call, etc. The only thing I couldn’t figure out was how to rename the About Us page to simply About! Zinadoo also offer the ability to upgrade to your own .mobi domain (so I’d be tomraftery.mobi instead of tomraftery.zinadoo.mobi). Best of luck to Zinadoo with this, it seems like an interesting app in a rapidly emerging space. I see James has a piece up about Zinadoo as well. Thanks for the blog and the well wishes Tom! Looking forwards to hearing the podcast of your interview with Neil Edwards.